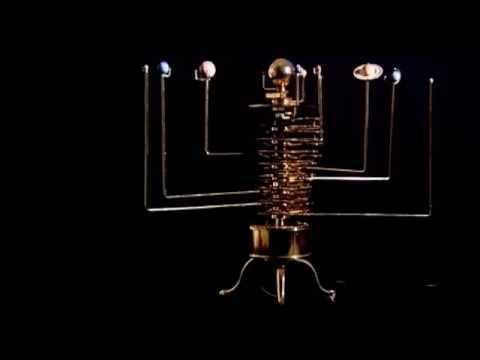 The first model in the collection is the Orrery. Build it yourself part by part with detailed instructions and information in each accompanying magazine. This build up is comprised of 52 issues. Once complete with the Orrery, move on to building the Orbiter. Create a matching set and showcase your working Model Solar System Orrery and Orbiter together. Plus Free Gifts Worth Over $95! Keep your collectible magazines stored neatly with this monogrammed, hardback binder. Comes with shipment 2. Three poster-sized, glossy prints reveal the wonders of our solar system, the wider galaxy and beyond. Comes with shipment 4. Sir Patrick Moore's guide to astronomy, and explains everything about the Apollo story with official NASA footage. Comes with shipment 5. Go inside the cockpit and meet the crew for the Space Shuttle Columbia's final mission. Comes with shipment 7. All the specialized tools and equipment you need to build your Orrery. Comes with shipment 9. See the models in action! Build your model, step by step! Start with a risk-free trial! Go Platinum and receive this exclusive telescope worth $70! Get the exclusive opportunity to upgrade your subscription and receive this telescope and planisphere for only $1 extra per issue. You will receive this exclusive telescope, stand in 4 shipments whilst building your model solar system. Each issue is accompanied by a Model Solar System Magazine, complete with a thorough analysis of each stage of your build-up, including instructions, diagrams and other vital information and facts. Sign up today and receive the first two issues (model parts and magazine instructions) for only $4.95 + FREE shipping. Get four new issues delivered to your door each month for only $10.90 + $1.95 S&H per issue. When you reach issue 52, your Orrery will be complete! Next, you can decide if you would like to continue and begin your Orbiter at issue 53. Pay only $1 extra per issue to become a Platinum Member and you will receive the exclusive telescope and planisphere. Order today and receive the first two issues to begin your Solar System Build for only $4.95 with free shipping and handling. After you receive your introductory package, you will receive 4 new issues containing parts and magazines every month to continue building your Orrery. You will automatically be charged only $10.90 per issue. Shipping and handling is just $1.95 per issue. You will also receive 3 fantastic free gifts during your subscription. Your Solar System build is complete in 104 issues and contains 2 models: your solar system Orrery model will be complete in 52 issues. From issue 53 onwards, you will be able to build the Sun, Moon & Earth Orbiter model. How does the platinum subscription work? The platinum subscription is an exclusive offer giving you the opportunity to receive additional gifts throughout the collection by paying only $1.00 extra per issue. That means as a platinum subscriber, you will get all of the benefits of a regular subscription, plus you will receive the telescope and the planisphere. This offer is subject to availability while stock lasts. If I select the platinum subscription, do I still receive the other FREE subscription gifts? Yes, as a platinum subscriber you will receive 5 free gifts PLUS the telescope and the planisphere. This offer is subject to availability while stock lasts. Help! I’m struggling to build my solar system models. 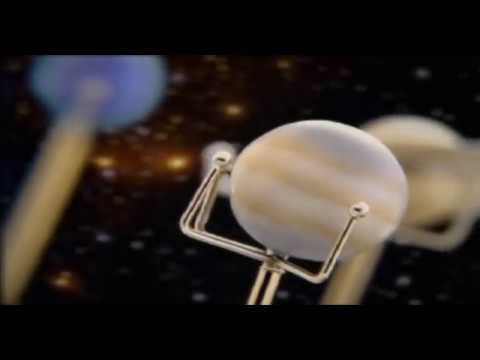 We have assembly videos on our website to help you build your model solar system. If you have any further questions, don’t hesitate to contact customer services.